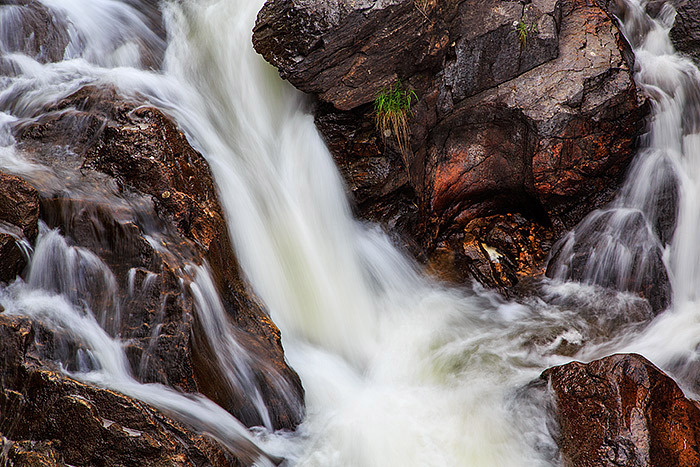 Most visitors to Grand Lake and Rocky Mountain National Park will take the short hike to Adams Falls. Adams Falls is both beautiful and easily accessible to visitors looking for waterfalls on the west side of Rocky Mountain National Park. Photo © copyright by Thomas Mangan.